Metamaterials are man-made designer matter that obtains its unusual effective properties by structure rather than chemistry. Building upon the success of electromagnetic and acoustic metamaterials, researchers working on mechanical metamaterials strive at obtaining extraordinary or extreme elasticity tensors and mass-density tensors to thereby mold static stress fields or the flow of longitudinal/transverse elastic vibrations in unprecedented ways. 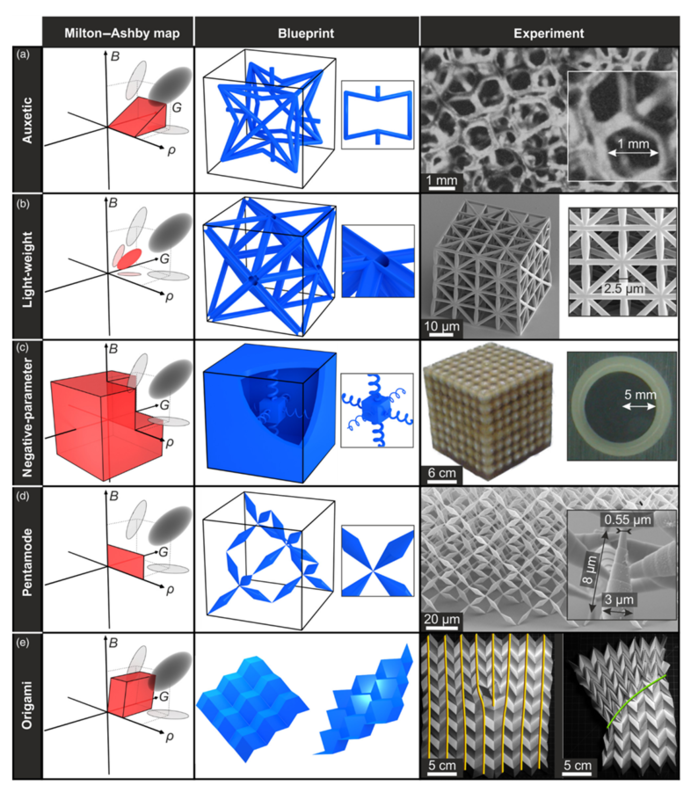 Examples are ultralight-weight, negative mass density, negative modulus, pentamode, anisotropic mass density, Origami, nonlinear, bistable, and reprogrammable mechanical metamaterials.